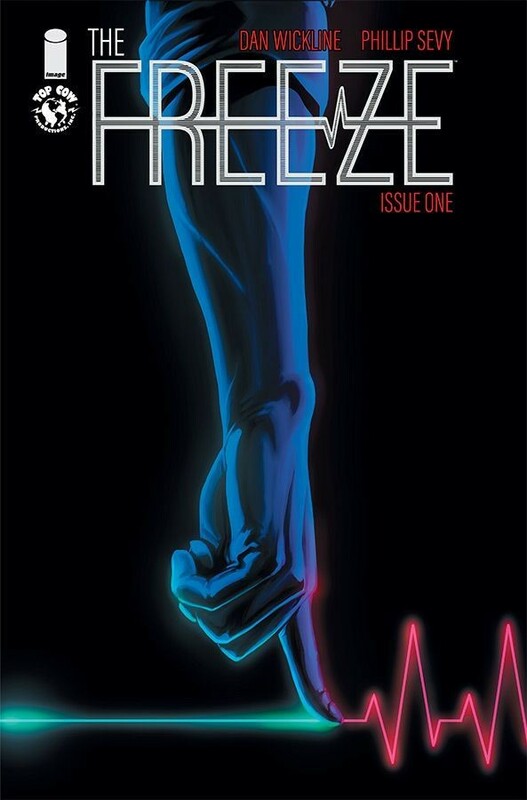 New apocalyptic science fiction burner The Freeze, from writer Dan Wickline and artist Phillip Sevy, posits a world where every human being inexplicably stops moving. Only one man can release them with his touch. Not all end-of-the-world scenarios happen with a bang. For the creators of The Freeze, the apocalypse kicks off in an unusual way, with seemingly every single person on Earth immobile and suspended in space and time. A similar cube farm greets readers in the first issue of The Freeze, where they encounter Ray—a mild-mannered IT guy thrust into an impossible situation. What makes Ray different? For starters, he isn’t affected by the Freeze—the titular event that leaves the global population incapacitated. He also has the unique ability to “unfreeze” his fellow coworkers, and ostensibly, the rest of the human race. But should he? In the debut issue of The Freeze, the whys of the event that led to humanity’s predicament are left unexplained. By initially eschewing the origin of humankind’s paralyzing catastrophe, Wickline and co-creator/artist Phillip Sevy follow their protagonist in both the immediate aftermath of the event and during an undefined future period, when readers will encounter a different version of the de facto messiah. In the present tense, Ray concerns himself with his most immediate and basic needs. He doesn’t have time to figure out why the Freeze has occurred or why he has the ability to counteract it. In the future, Ray consorts with a group of shadowy individuals interested in finding and unfreezing certain people. But readers won’t find out whether or not the group’s—or Ray’s—intentions are benevolent in the first issue. The Freeze event is devoid of the kind of fire and brimstone usually reserved for the end of the world. And while the people of the world may have stopped in their tracks, the inertia of daily life has not. All manner of disasters befall the planet in the wake of the Freeze: cars collide, trains derail, and airplanes fall from the sky. In addition to vehicular carnage, some other unexpected “aftershocks” challenge Ray during his journey. After unfreezing a pregnant woman, she soon goes into premature labor, her baby still frozen in the womb. This leads to a disturbing and unusual miscarriage. But the core tension in The Freeze doesn’t stem from the carnage of an apocalyptic event—it comes from what happens after. 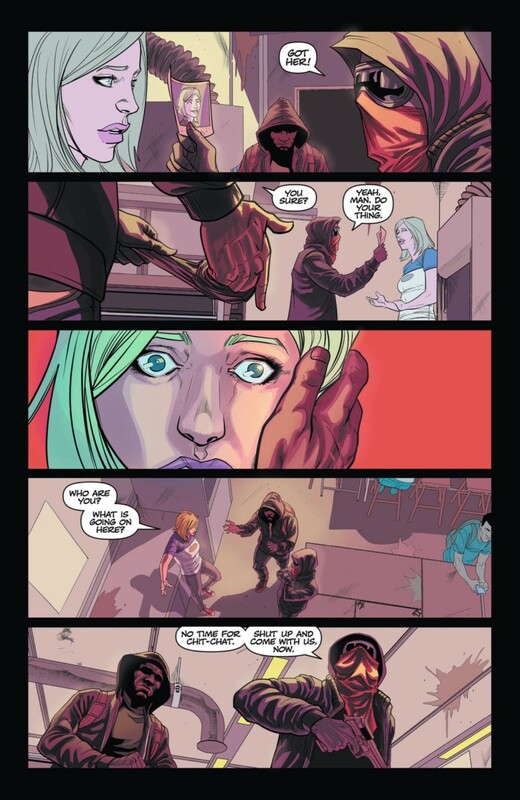 For all the good ideas in the first issue—and there are many—the story wouldn’t work if not for the creative team’s deft visual and narrative execution, including letterer Troy Peteri’s emotive text. As anyone with experience reading comics will intuitively understand, depicting bodies frozen in time can be quite the challenge, as all bodies in comics are inherently frozen in time. But Wickline and Sevy deploy a simple, yet effective, series of visual cues to highlight the passage time (or the lack thereof). Those are the types of questions that the new society has to ask themselves. Is everyone worth unfreezing? What if they’re terminally ill? What if they’re a killer? Will they benefit the new society or cause problems? Surviving the end of the world puts a considerable amount of pressure on the characters in The Freeze. But make no mistake, the creators themselves face their own unique pressures.